Craig Jackson | Western Financial, Inc.
Craig Jackson is the co-owner and co-founder of Western Financial, Inc. He has over 30 years of experience in the financial services industry, including past Chairman of the FINRA Advisory Council and formerly the CEO for Northwest Consulting, LLC. He graduated from Cal Poly with a Bachelor’s of Science degree in Farm Management. 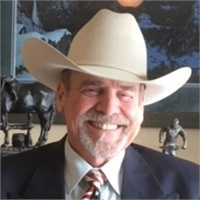 Craig began his career by utilizing his farming background in the early development of a California commodities-based crop-hedging program and marketing. Craig’s experience is in wealth management and retirement planning. He also manages individual debt and equity portfolios for clients by utilizing sound technical and fundamental analysis and tax efficiency for individuals, corporations, Native American Tribes and non-profit organizations. Craig is an active member of the Roseburg community. He enjoys speaking to various service groups concerning financial markets and has been a member of the Lions Club for over 45 years. He served as Chair of the Douglas County Planning Commission for several years and was a Director of the RUSA for 12 years. He is the past President of the Umpqua Valley Art Center, currently President of the Community Cancer Center of Roseburg and a Director of the Roseburg Lions Club. He is also a Life Member of the National Cutting Horse Association and the American Quarter Horse Association. He and his wife Judy have nine children who have in businesses in Washington, Arizona and California and eight grandchildren. Their home is on the North Umpqua River and live with their “Stock -Chasing puppy” Reno Valentino, their Yorkie aka the Saber-toothed Terrier.